This evening I made Pimento Cheese Burgers for dinner. We had grilled uncured hot dogs with them. They were easy to make and I simply mixed in the basic ingredients found in pimento cheese and seasoned them with a bit of McCormick's Chipotle Roasted Garlic Seasoning and grilled them for about 5 minutes per side. They were simple and good. I snapped a couple photos below and included the easy peasy recipe. 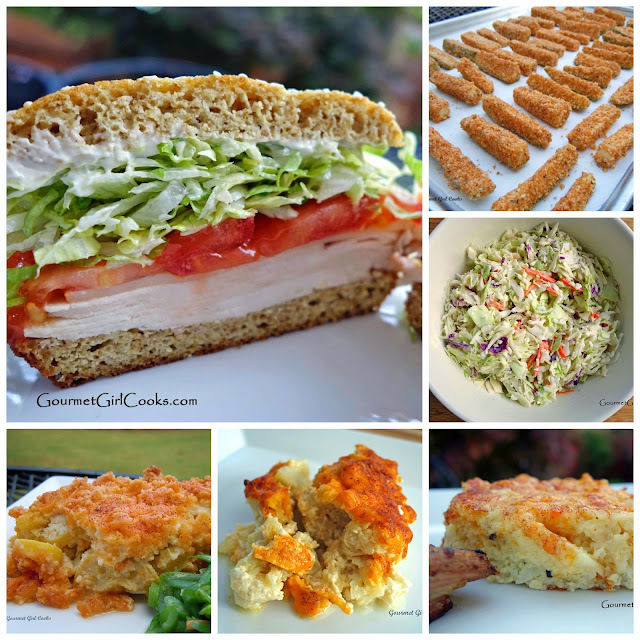 I've also included a small collection of side dishes that are perfect for cookout season (recipe links below photo collage). Enjoy! 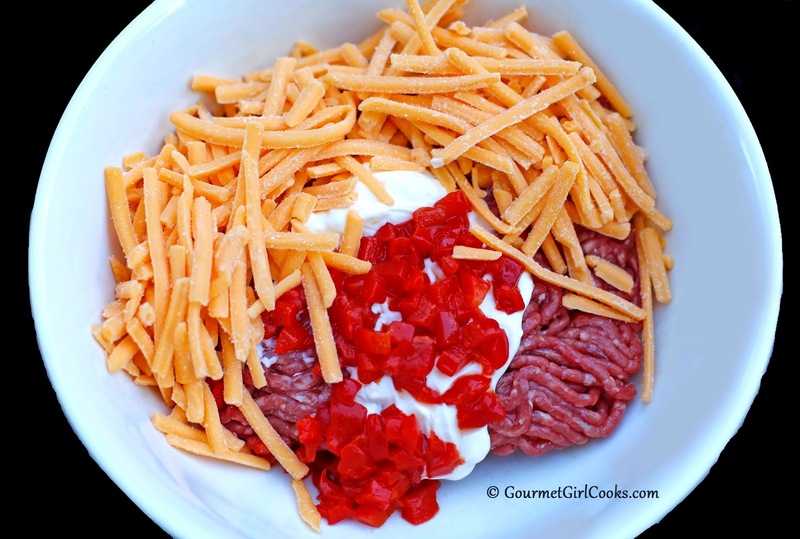 Combine first 4 ingredients in a medium bowl. Divide and shape into 3 patties, about 3/4-inch thick. Make a slight indentation in the center to help keep the burgers level as they cook. Season with chipotle seasoning and grill on a hot grill for approximately 5 to 6 minutes per side or to desired doneness. I really love the way that you've been presenting your old recipes in themed groups lately. I am looking forward to making all of your "side dishes for cookout season," especially the zucchini fries and squash casserole. Thanks for all that you do. You make low-carb taste really delicious!